The need: they wanted to offer their customers (farmers) a dashboard and graphing service for farm sensor data, and a way to securely store data for historical analysis. How they used FRED: FRED was used to accept incoming data, process it and then send to a third party data store for long term management. The customer had developed some innovative technologies for deploying networks of sensors into farms. 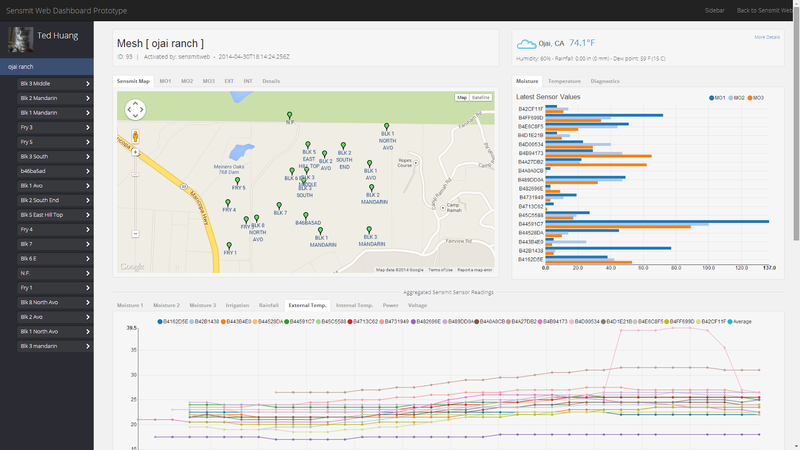 Using zigbee based mesh networking, they were able to gather data from a variety of sensors around the farm and send to a cloud end-point. They wanted to provide their customers – the farm managers and agronomists with a web service to access and display the sensor data, graph it and support alerting and alarms when sensed data was out of bounds. Additionally, they wanted to send some of the the data to a 3rd party “Ag data hub” managed by one of the largest Ag companies Monsanto. 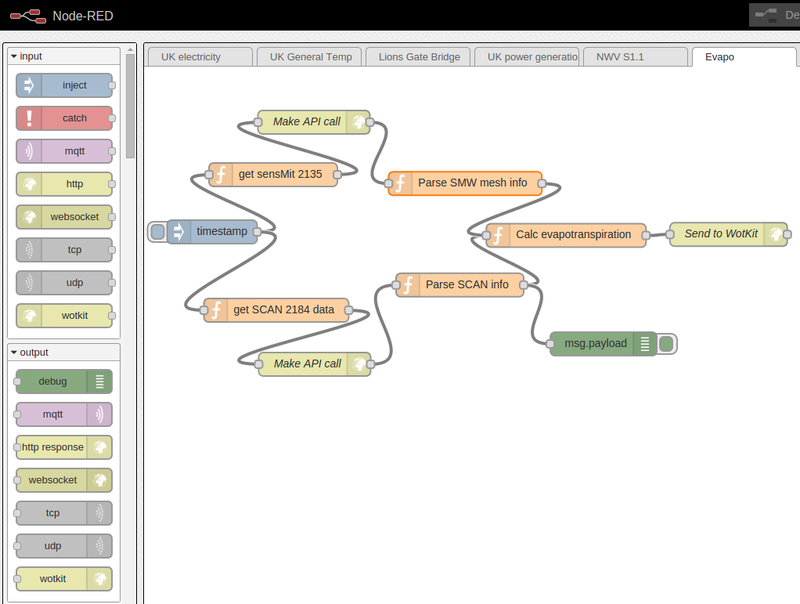 STS designed a built a full web service – using the STS IoT platform (WoTKit) and the FRED visual programming tool. Data was received from the farms via a REST end point – sent over a variety of communication channels. The data was cleaned, processed and stored in the STS IoT data store. Additional features built using FRED included virtual sensors using mashups of farm data and weather station data – for example calculation of evapotranspiration values based on soil moisture measured in the vineyard and solar radiation measured using weather stations. For some customers, contributing the data to a 3rd party Ag data hub was required which was programmed in FRED using a highly resilient flow designed to pull data from the STS IoT platform, transform into a new format and send to the 3rd party hub – all while guaranteeing timing and transaction properties. The result: the customer was able to deliver a full package to the farming community consisting of in-farm sensors and associated data visualization and analysis tools. This in turn enabled farmers to manage their crops for maximum yields with minimum hassle.